An Indian analyst of the world affairs believes that the ruling family in Saudi Arabia fear establishment of a politically democratic system In Iraq. 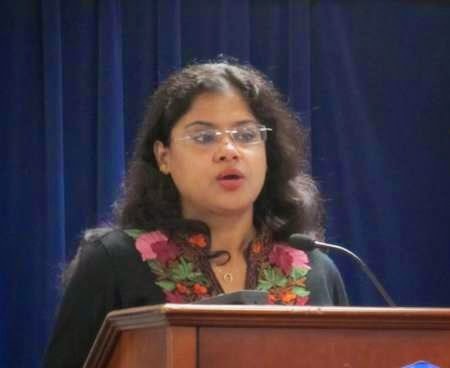 Dr. Reshmi Kazi, an associate fellow at the Institute for Defense Studies and Analysis (IDSA) in New Delhi made the comment in an exclusive interview with IRNA on Friday. Terming Iran as a regional power, the seasoned analyst of the Middle-East affairs, said that as a regional power, Iran has a major role to play in defusing the situation in Iraq and the Middle East. “At the same time, Iran has ruled out any military solution to the existing political crisis. Hence, it can be assumed that Iran is more in favor of a peaceful and diplomatic solution to the Iraq crisis to avoid further bloodshed there.” Dr. Kazi added. Elaborating on the great danger that the ISIS is posing to whole the world, Dr. Kazi said that the ISIS has avowed war against many states, including India. “However, the Indian government is sufficiently worried about a possible spillover impact of the sectarian crisis in the Middle East. There are sufficient concerns within India against any possible security threats from the insurgents. The Indian Government’s internal security establishment has started taking adequate steps against any possible attack from terrorists. Steps have also been taken to enhance security at the country’s vital installations,” she added. Elaborating on the background of the current crisis in Iraq, Dr. Kazi said that the ground situation in Iraq presents a complex picture with Baghdad struggling against sectarian crisis for more than a decade now. ˈWith the ISIS terrorist group gradually gaining momentum by increasing its hold over territories in Syria and in large parts of northern and western Iraq, the political stability in the Middle East is taking a deteriorating situation. The situation poses a serious threat of a full-blown civil war unless i t will be timely arrested,” said the analyst. “The seeds of this political unrest were sown during the reign of Saddam Hussein, which propagated divisive policies causing political tension between the Shiˈa majority and the Sunni minority. Matters worsened with the 2003 invasion of Iraq by the US-led coalition forces in Iraq,” she added. Warring against any territorial division of Iraq, Dr. Kazi said that with their firm control over the oilfields of Kirkuk and other large areas in the northern Iraq, the Kurds believe an independent sovereign state is within their reach. ˈHowever, Iraq will work hard to prevent any such disintegration of their country,” she added. “But (Prime Minister) Maliki on his part must hasten the adoption and implementation of policies that are more inclusive to curtail the existing marginalization of the dissatisfied Sunni minority. This would impact upon reducing the risks of collapse of the Iraqi state,ˈ she said. ˈMaliki must also initiate with immediate effect national dialogues amongst all the various contending domestic groups in Iraq to participate in the formulation and adoption of new government policies that would be representative of all sections in Iraq. This would constitute an effective political and security response to the prevailing political volatility in Iraq,” Dr. Kazi concluded.